The past couple of days I’ve been kind of obsessed interested in pencil sketching. I checked out the Winter 2015 edition of Drawing Magazine and found that they have beginner exercises so I tried the one for this issue – Featherstroke. The idea is to layer the shading until you get the effect you are going for. I’m really having a lot of fun with it! 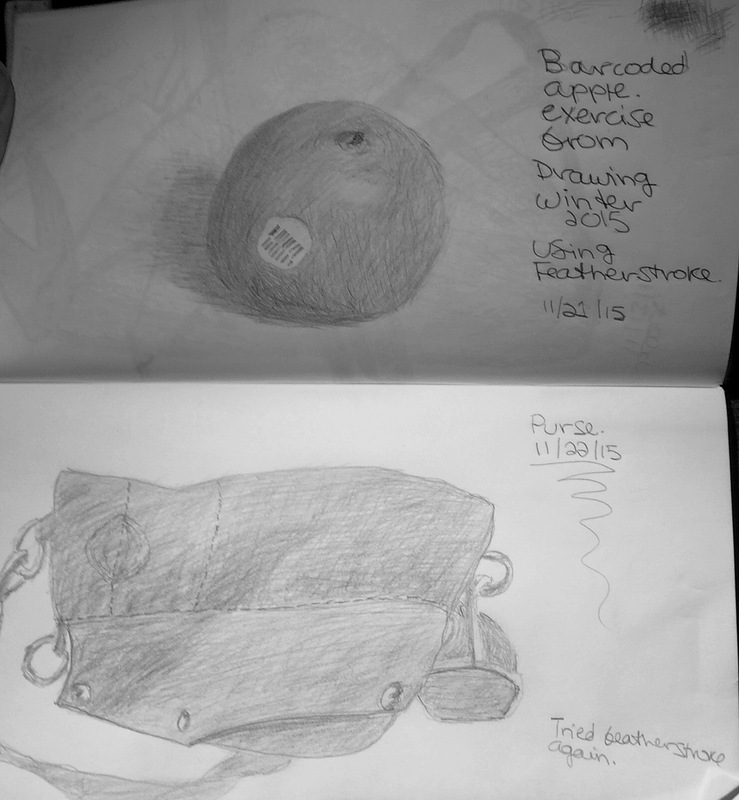 Here is an apple and my purse. The issue also features artists who use colored pencils and now I have a renewed interested in using colored pencils. I used them when I first started drawing and loved the convenience but switched to watercolor. I love the look of watercolor but it frustrates me because it is hard to have any control at all. I am thinking I may go back to colored pencils. You can see more sketches at Gotta Sketch That Itch.